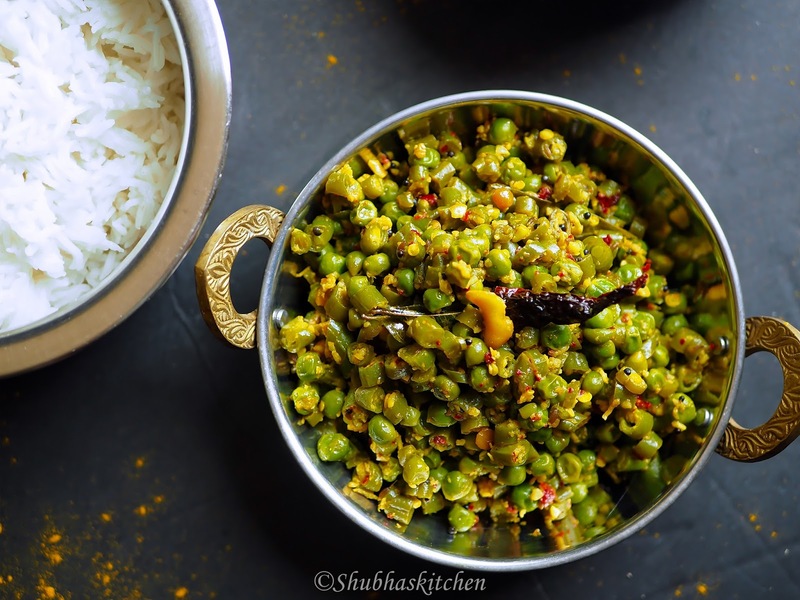 Sabzi or stir fry prepared in Karnataka is called "Palya". 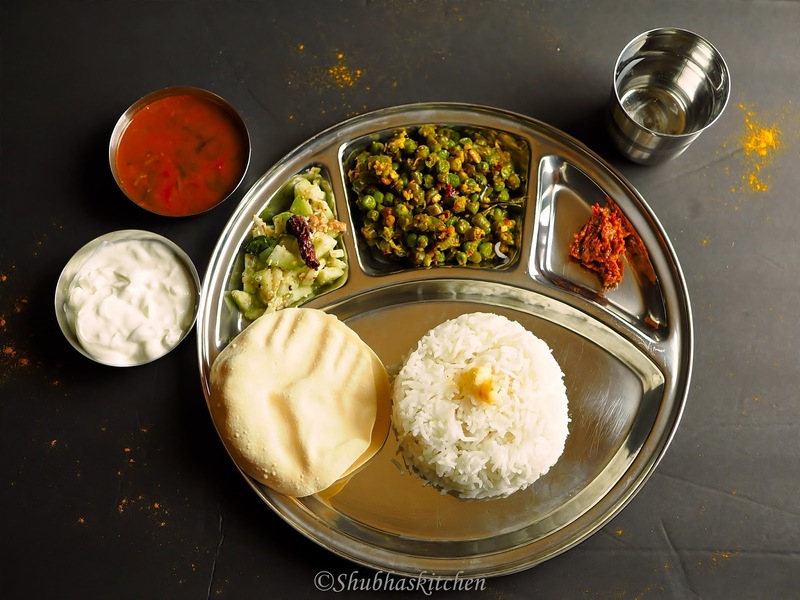 Today , I present to you a palya based on the Udupi cuisine. 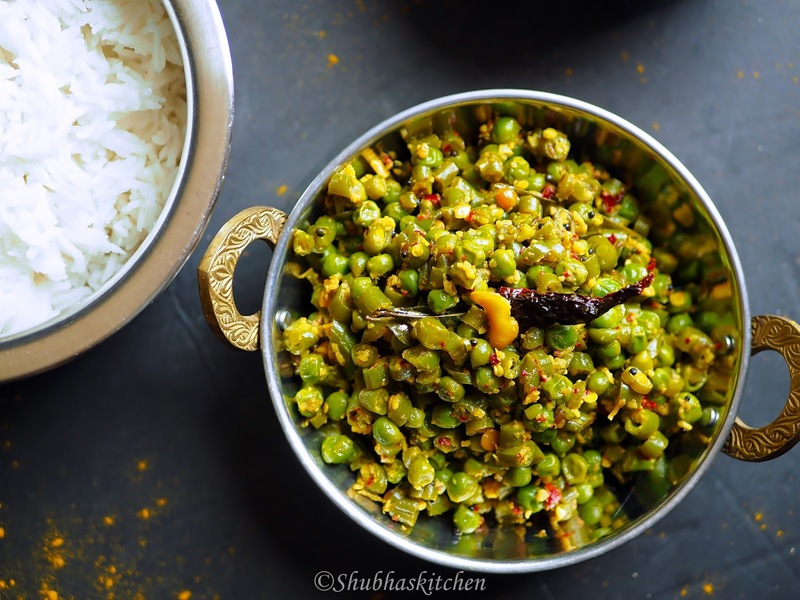 Green beans and green peas are cooked and then flavored with an aromatic coconut, cashew nut and spice blend. Heat oil in a deep bottomed pan. 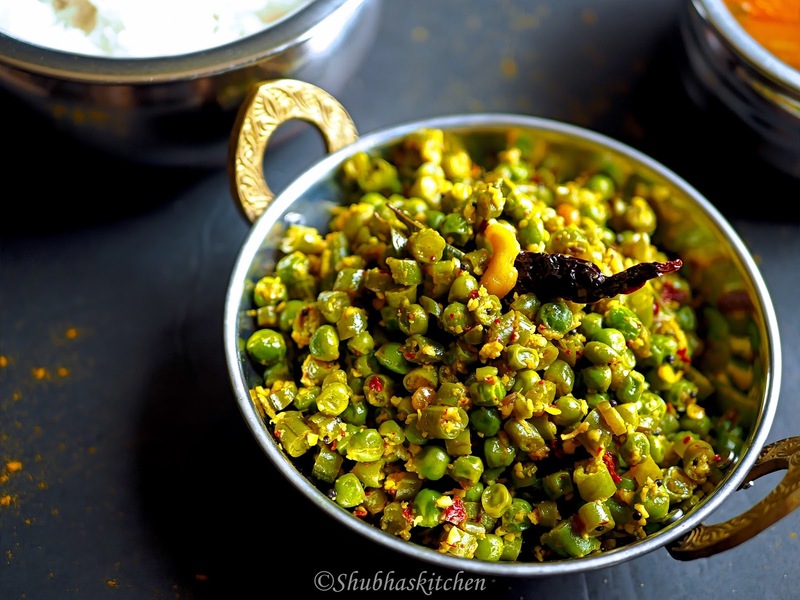 When hot, add the mustard seeds, chana dal , Byadgi chilies (2 nos). When the seeds start to splutter, add the curry leaves. Add the green beans and green peas. Add the turmeric powder, salt, jaggery powder and 0.5 cup of water. Mix and cook covered on medium heat. 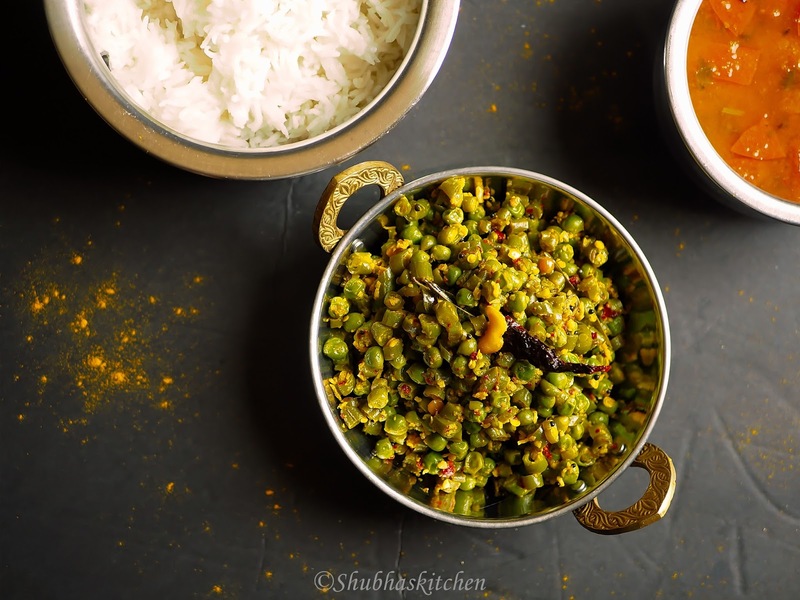 While the vegetables are cooking, blend together cashews, 2 Byadgi chilies (increase the number of chilies for more spice), shredded coconut and cumin seeds. Once the vegetables are cooked, add the blended coconut mixture.Mix and cook for a couple of minutes and turn off the heat. 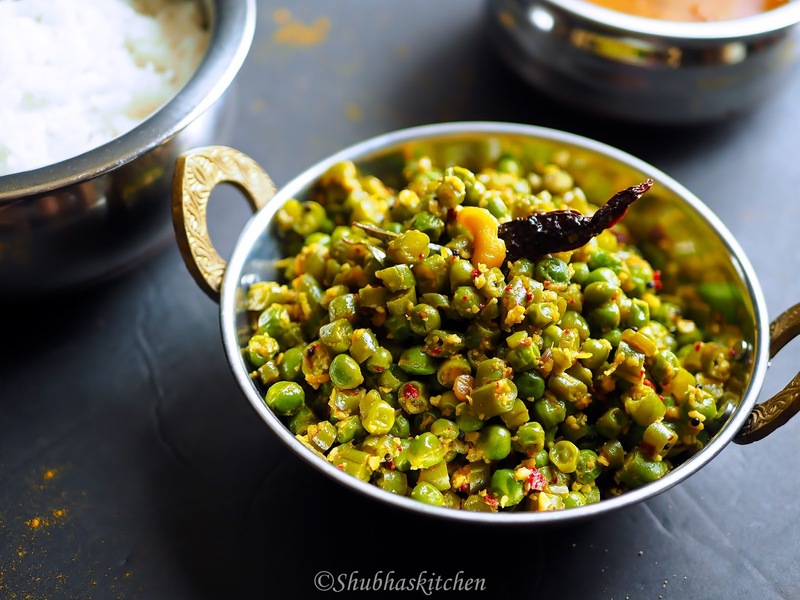 This looks like such a wonderful side dish, Shubha. I am always looking for new veg to go with our dinner, and I have or can get everything on the ingredients list. Looking forward to trying it. A familiar dish, but all worthy as a side dish. I definitely am hailing this food joy and deliciousness.